A close up of the inscription found at the icon venerated at the TMP Seminary. There are other very interesting old and new revelations about the Virgen de la Soledad. To this day, it is not known when the novena for Her was written and who wrote it. According to Mr.Ricky Jose, some of its prayers may have been taken from a little booklet published in 1742 entitled “Soledad patrocinante de Maria. 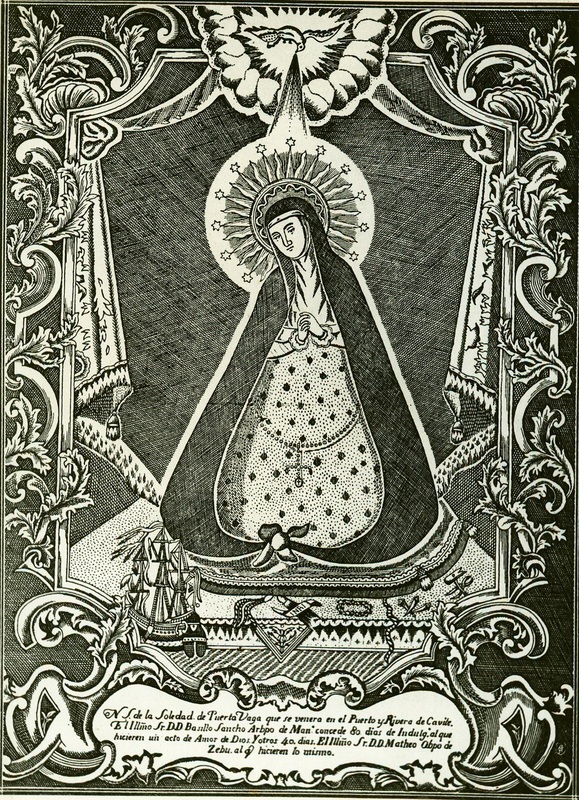 Oracion evangelica de Nuestra Señora de la Soledad, appelida de la Puerta Vaga”; this was a printing of a prayer or discourse preached in 1741 by the Dominican Fr. Juan de la Cruz, historian of his order and a missionary in China. In the nineteenth century, a Tagalog translation of this Novena was made by Fr. Juan Dilag, a chaplain of the Ermita. On August 31, 1861, Don Candido Ureta de Manzares, the chancellor of the Archdiocese of Manila approved the Tagalog translation. An estampa of the Virgen de la Soledad is now venerated at the chapel of “Tahanan ng Mabuting Pastol”,the Diocesan Seminary for Cavite. This image was formerly hung at the Hesuit college of Cavite. After the expulsion of the Jesuits in 1768, the image was kept in the Jesuit archives of Ateneo. 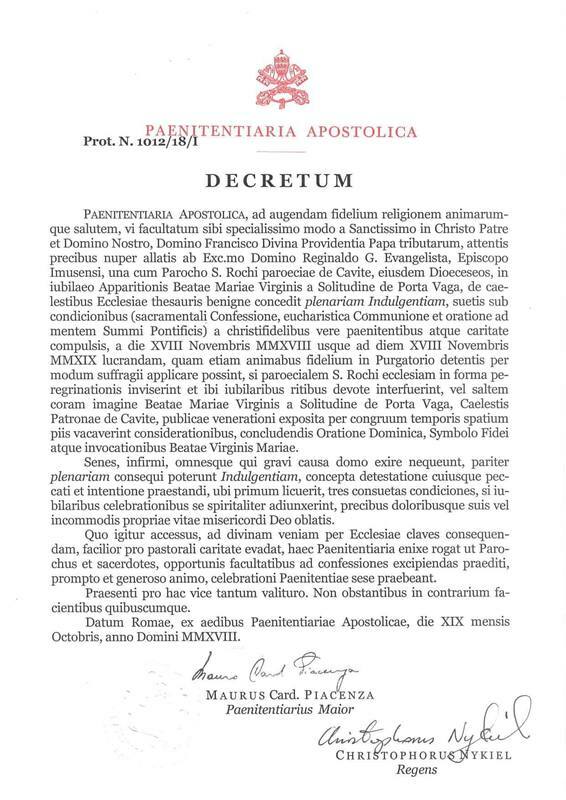 The image was given to Bishop Perez as a gift on the occasion of the inauguration of the new seminary. On this estampa, an inscription says that the Spanish Archbishop of Manila, Don Basilio Sancho de Sta. 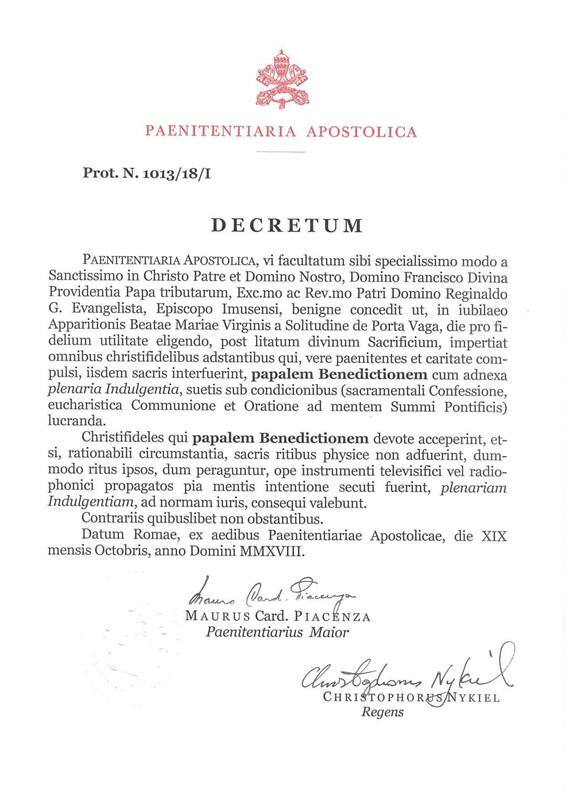 Justa y Rufina granted 80 days indulgence for those who would say the novena in Her honor. 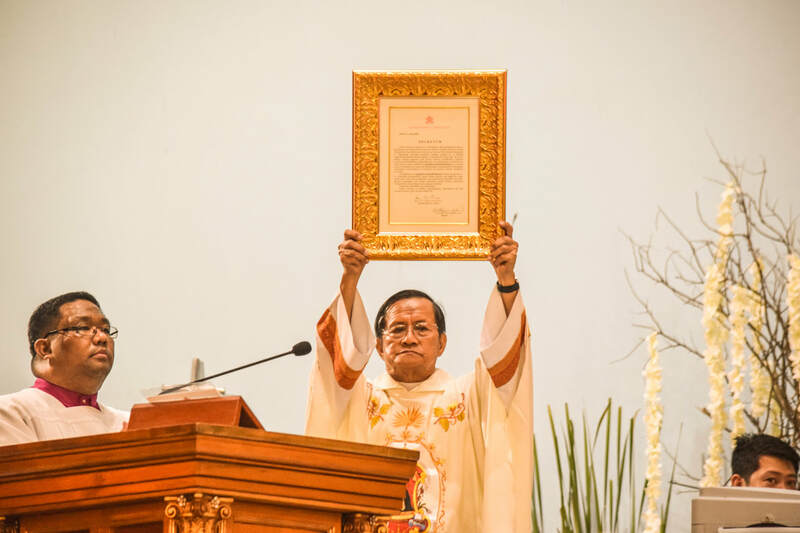 Bishop Mateo Rubio de Arevalo of Cebu granted 40 more days for those who did likewise. Another Archbishop, Don Juan Antonio de Obrigo y Gallego granted indulgence to Her devotees. On October 21, 1909, the first American Archbishop of Manila, Jeremias J. Harty, granted 100 days of Indulgence to those who would make a pious devotion to the Virgin. In the 1950's, Most Rev. Cesar Ma. Guerrero, former Archbishop of the Diocese of San Fernando (Pampanga) and Tarlac, whose ancestors were full blooded Cavitenos, permitted the publication of the prayer entitled: "Nuestra Senora de la Soledad de Porta Vaga: CELESTIAL GUARDIANA Y PROTECTORA DE LA PROVINCIADE CAVITE Y SU PUERTO". The holy bishop likewise granted 300 days indulgence to all who would pray it. 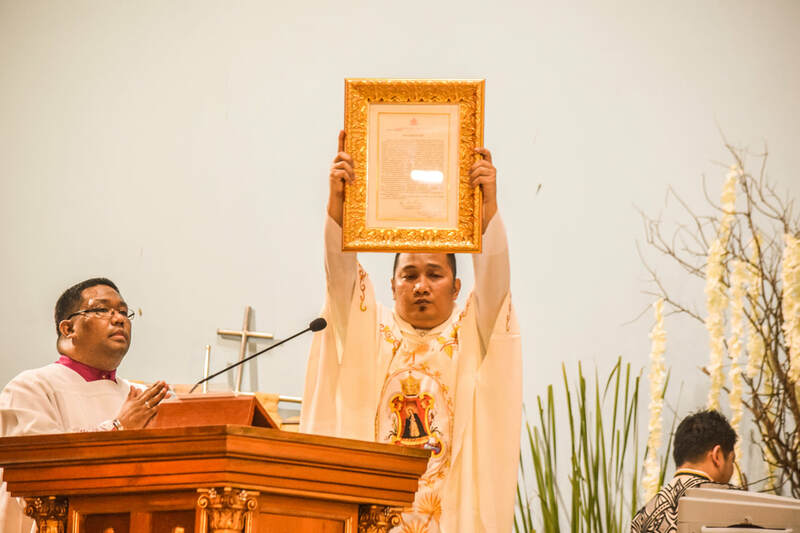 A copy of the Estampa now venerated in the Imus Diocesan Seminary: Tahanan ng Mabuting Pastol.